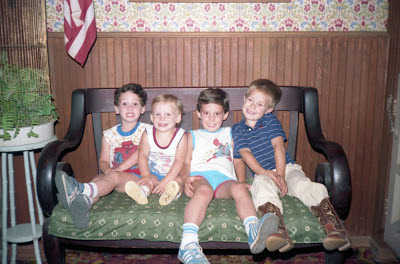 I'm pictured on the right with my pants tucked into my boots so you could see how pretty they were. I was always told, 'Boys don't tuck their jeans into their boots, girls do.' I just know I always felt more comfortable doing things my way! I like how happy I look in this picture with my friends. This is one of many pictures that just scream, "Come on! Were you surprised I'm gay? Really?" Recently I gathered my pictures from birth through high school. In this picture you see my smile, and see that I am happy. 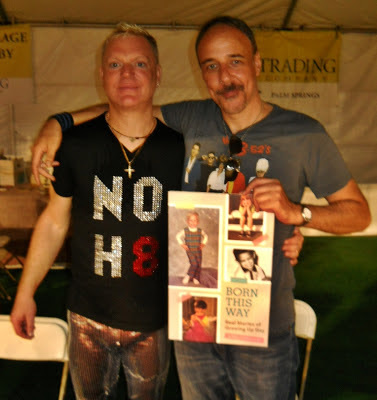 But I soon realized I was different and knew I was gay. Those of us born this way have always known it on some level. Unfortunately, the older I got the more my smile went away. And that breaks my heart. I look at my pictures and I feel so much pain for a little boy that just wanted to be loved so badly. If parents notice their kids or their friends' kids aren't smiling anymore, find out why. And show them some love. Whenever you suspect that someone just needs some love, I would say 99% of the time it's an accurate intuition. I hope that somehow my story will touch even one person to reach out and help someone's smile last longer than mine did. All it takes is a few minutes to extend love to someone, especially a child that is begging to be loved. Well, I think we can safely say by the age of 10 I was OUT! This photo was taken by a photographer from my home town newspaper. My uncle actually owned the newspaper business and my mother worked in the dark room. Needless to say, when my mother was developing the film that afternoon, she was in shock! The photographer knew who I was under my granny's wig and red mint, lipstick toothpaste. And of course, my sister's square dancing dress. None other than her co-worker's son! She couldn't resist capturing this moment on film. Now, as a family we all laugh about this particular Halloween evening. I guess you could say it was my first Gay Pride Parade! Both of my parent's were gone for the evening and left my brother in charge of babysitting me. 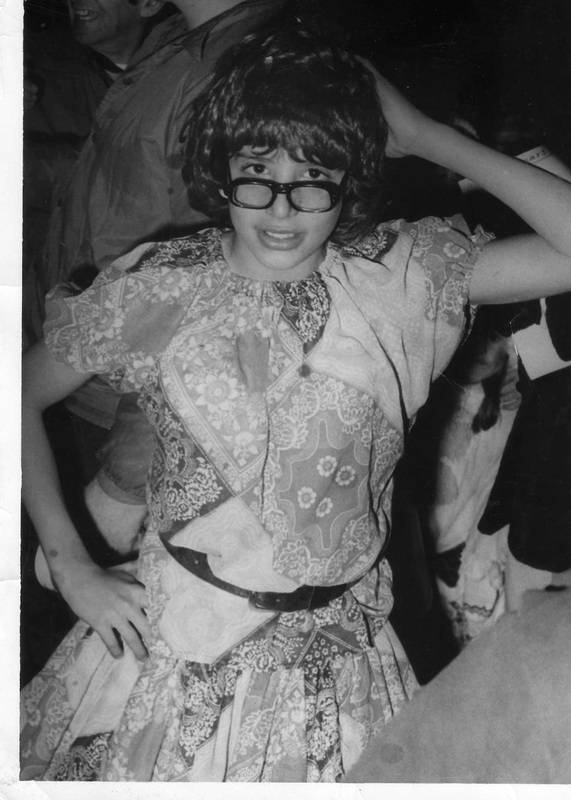 "ladygirl boy trying to be queer" was my shining LGBTQ moment from the 70's. I am one of the lucky ones whose parents let me be myself, and who supported me as much as they could throughout my childhood. My advice to everyone is to be who you are and don't deviate for anyone! YOU are the BEST YOU there is! 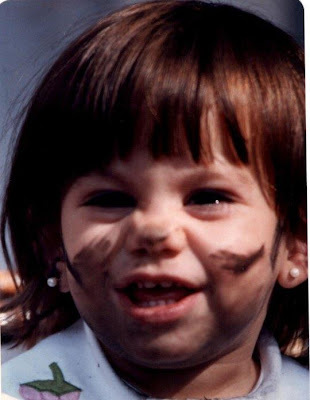 I remember as if it were yesterday when I said to my dad, "Paint a beard and mustache on my face." And I was so happy with my manly beard. When I was 3 years old in kindergarten, my teacher told everyone to pick a card: yellow or pink for the girls, and blue or green for the boys. And I wanted green! She tried to explain that I was a girl so I had to pick pink or yellow. "I'm a girl, and I want green," I said. I always felt "different" from the other girls, and I never liked boys. I always felt a connection to girls, but it was all unconscious. It was if it was all a secret, even to myself. At the age of 16 I realized that I was in love with my female best friend. I could start living my life as the lesbian I am. And it all finally became clear! Now at age 26, I'm in love an enjoying every part of it with a girl who never thought she could love another girl. She's a very special person in my life, and we connected instantly when we met. I love the way she holds my hand when we walk down the street. It brings me peace. I am glad that I always remained true to myself, and that I never tried to be with a boy, just so that my family or friends would accept me. Today they all accept and love me for who I am. Even my grandmother asks me, "How is your girlfriend?" and that means the world to me. Morrissey once sang: "And if the people stare, then the people stare, I really don't know and I really don't care. There's no shame..." And that's my story today, too. 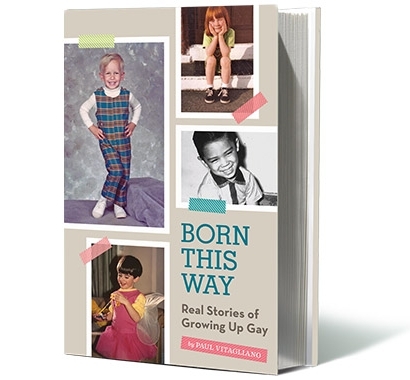 So the "Born This Way: Real Stories of Growing Up Gay" book has been out for almost a month now, and the response has been just amazing! It's getting some great reviews (both print and online) and on Amazon, and the feedback about the project is so positive and wonderful to see. I really appreciate it all! If you already have the book and want to share your thoughts about it, please write up your own review on Amazon or any of those links. Reviews and traffic to those links really help keep the book visible and high on their new release charts. Erasure's Andy Bell joined me for an incredible book signing for about 60 people, and Q-Trading Books sold out of all the copies they had! 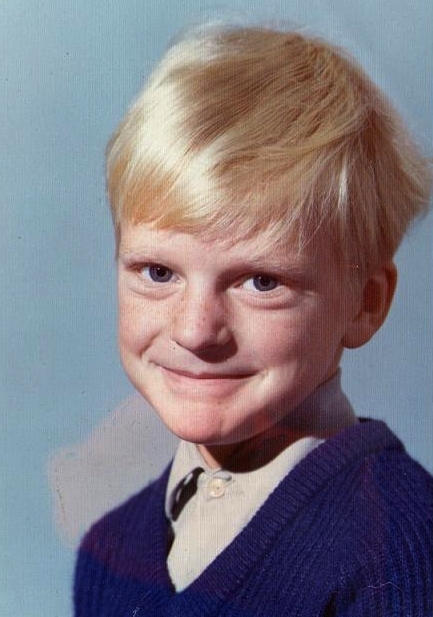 And look how cute Andy Bell was as a wee lad. You can read Andy's story inside the book! Many, many thanks to everyone for supporting this project!